If you choose to use either FOS’s as your prebiotic, I recommend only to use it for a very short period, and in small doses. If severe gas, bloating, or symptoms develop and do not reduce in a few days I would discontinue. If you develop, SIBO follow the outlined SIBO protocol in Fix Your Gut to help relieve it. i am suffering from ibs d . i get sometimes mucous in stool and feeling of incomplete emptying of bowls. Its not loose stool . I have taken probioticslike saccharomyces boulardii , probiota histaminx and just thrive . They have helped me somewhat but still i have discomfort. I took just thrive for 2 months and i have increased frequency of stool . i am looking into nemchek protocol where he says to taje inulin and olive oil. What are your thoughts on that ? I would be concerned that the inulin could cause dysbiosis without any other type of fiber or prebiotics ingested and worsen IBS. will that allow to use all prebiotics without problem ? What are you thoughts on this protocol? For patient who have had the Commonwealth Diagnostics SIBO test and have tested positive for SIBO? The stance that the writer has on inulin at the end you know I disagree with it per my blog post. Following and organic of the Perfect Health Diet would be good. Proper sunlight exposure would be good as well. https://fixyourgut.com/improve-your-health-for-free-use-sunlight-for-vitamin-d/ Look into Bravo yogurt. So would your recommendation be to use a small amount for a short time every once in awhile or just once? Also, what are the alternatives to encouraging good bacteria to repopulate the gut? Is the Organic Senegal acacia found in Heather’s fiber (brand) a low FOODMOP product Ct? Will this particular fiber source help my IBS? Yes, it should be. 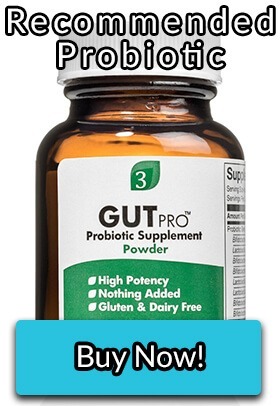 Many people use it and get good results with improving their microbiome and stool frequency. I listened to a health webinar teaching that diagnosis of SIBO is extremely difficult due to unknown digestion times. How can I get an accurate diagnosis if this is the cause to my bloating and flatulence? I have been daily taking inulin to reduce constipation. hi , ive had food severe food poisoning 4 days ago where i vomited 6 times and had diarrhea 7 times . vomiting and diarrhea stopped after taking antibiotics .but i have been experiencing stomach pain and alot of burping . do you suggest i take pre and probiotics or will they worsen my condition or should i give it a few more days so it can be better on its own . Sorry, but we’re not all expert in this area and the use of undefined acronyms does not help. FOS? SIBA? FODMAPS? It’s standard practice to give the complete name initially and then use the acronym. FOS – fructooligosaccharide, SIBO – small intestine bacterial overgrowth, FODMAP – fermentable, Oligo-, Di-, Mono-saccharides And Polyols. I agree. This post was a little confusing until scrolling down here to the comments and seeing these acronyms explained. Great info though! Glad I’m here! In terms of chain length, I can tolerate all inulin food sources and chicory root powder except for Jerusalem Artichokes, but labelled FOS will bring on excessive and foul flatulence! I have read that the processed ones are usually shorter and fermented faster. Btw I also cannot tolerate potato starch, guar gum, baobab powder, figs, apricots or sugar alcohols. I can’t figure out a common fiber or sugar between these–anyone know which species consume them? My UBiome shows no enteric pathogens present. Also no Bifidos or Lactos despite probiotics and prebiotic diet. Main issue is high number of Desulfovibrio bacteria (SRB) so I can only figure they are consuming Hydrogen produced from beneficial fermentation in combo with sulfur. I’m going to try pepto bismol to lower SRB’s and will try GOS and arabinogalactans as alternate fibers to feed the beneficials. Thanks for the suggestion. It was my thought too before test…but taxa not present. Wish I had lady farts…I know this is an old post but did you ever get to the bottom of your gut issue? You sound like me with tests up the whazoo but no definitive answer. I’m looking into doing the Aperiomics test tho. I also suspect a parasite as they don’t show up all the time on the tests. What about doing colon reflorastation using probiotic with fos if you have Sibo? I understand from Dr. Siebecker that there are 6 studies that indicate using probiotics are just as effective as antibiotics. If we use the probiotic in the colon wouldn’t that be better than swallowing them? I have a severe case of C-Diff caused by an antibiotic. I am taking VSL-3 along with Dificid (second time round). 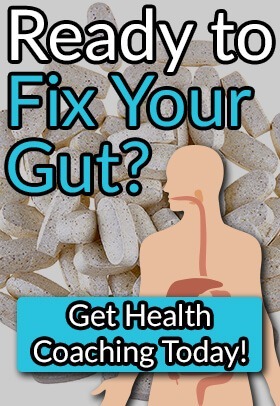 Will the prebiotic supplements feed the bad bacteria as well as the good bacteria? Most do. Collagen and GOS are least likely to cause issues feeding the opportunistic bacteria. Have you tired Saccharomyces Boulardii! I am so very confused now about FOS. I was reading earlier that they provide a food source for beneficial bacteria and yet now I am reading here that they also feed the wrong kind of bacteria? I am incredibly lost. I am looking for a probiotic for my 6yr old son who suffers from thrush (mainly oral). I will be starting him on a course of grapefruit seed extract which kills good and bad bacteria in the gut and so need a good, ‘safe’ probiotic to repopulate his gut, preferably free from sugar, sucrose, colours, flavours etc!! Fighting candida and thrush currently, Ive had thrush for over 10 years. I can say with the utmost certainty that currently I am beating my thrush for the first time. The mixture I use is brush well, pull oil through your mouth for 10 to 15 afterword, and finish rinsing with salt water. Important part is the coconut oil pulling, this is a natural antifungal. It is necessary to spit oil out afterward because it is full of toxins. 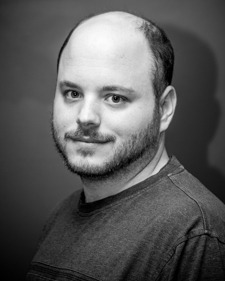 Adam, can you explain this” brush well” protocol better? I am also dealing with thrush. Good advice. I had a Doctor’s Data test done through a professional naturopathic physician. I was found to have a pathogenic amount of Citrobacter freundii, which feeds on fructooligosaccharides. I am going on a low-FOS diet with some targeted antimicrobials and antifungals to rebalance. I’m glad I didn’t take an inulin and FOS supplement before, it just would have made symptoms worse. As I am searching for supplementing my diet with Lactobacillus rhamnosus, though am not keen on ingesting FOS as it might be linked to increasing the gut population of Klebsiella, I am looking for an alternative to ingest these micro-organisms without being supplemented with FOS. Do you have any idea of such a product existing? I think you miss the point with SIBO. It is not caused by prebiotics or by FODMAPs. There is enough evidence right now to know that it is caused by food poisoning which damages the gut nerves. If we’re talking about people whi have it, and what to prevent reccurence, than yes, maybe it is wise to avoid, but I would probably go prokinetic route instead, and try to go back to normal diet. If your diet is rich in prebiotics and FODMAPs it could cause an increase of probiotic bacteria that spill over into the small intestine. This however is not the only cause of SIBO. Gastroparesis and slow intestinal emptying can cause SIBO, by causing more matter to be able to ferment in the large intestine and cause the same reaction to happen and I mention it in my book and on my website. Food poisoning, can contribute to developing SIBO if the use of antibiotics occurs. Most of the time the illness we call “food poisoning” actually occurs from ingesting the toxins that the bacteria produce, which is what makes us ill, and not the actual bacteria themselves. Foodborne intestinal infections can occur, but they are much rarer. Also, for your reference, http://scholar.google.com/scholar?hl=en&q=SIBO+and+foodborne+infections&btnG=&as_sdt=1%2C34&as_sdtp=, there have been no studies done to prove your theory. There have been studies done linking food poisoning to SIBO. Chapter 7 of Pimental’s book ‘A New IBS Solution’ is all about that. 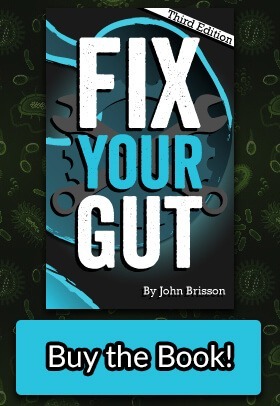 Yes, there have, I have written about it, https://fixyourgut.com/a-new-test-to-determine-sibo/. There are however multiple causes of SIBO.